Instead of playing with toys when she was a child, Valérie Messika grew up with the stones her father - a key figure in the diamond trade - brought home from work. 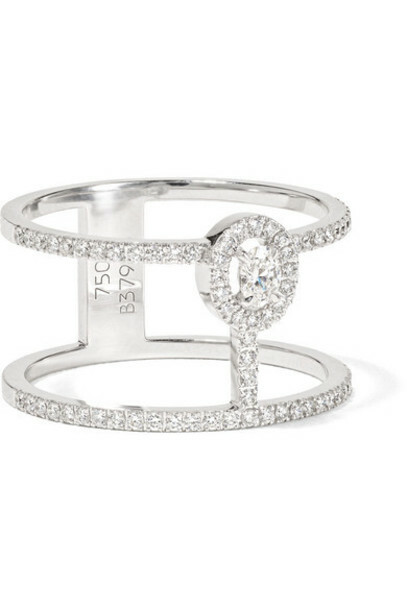 Sculpted in a cool cutout shape, this 'Glam'Azone' ring is handmade from 18-karat white gold and encrusted with 0.40-carats of shimmering VS1 diamonds. Wear yours solo or with the coordinating earrings.